Mobile FPS games have one of the most challenging control schemes. Even on an ordinary mobile FPS, the average number of points you must “touch” on the screen is between 15 and 20. No matter how flexible your fingers are, it is almost impossible for you to act fast enough. Even if you are a talented player, you cannot transfer your skills to the game due to the restrictiveness of the control scheme. This is not the only problem: Simple things like moving and looking around turn into complex operations that cannot be done easily. It is almost impossible for mobile players to move both on the X and Y axis, because you have to touch three different points at the same time: one to move forward, two to look left and right, three to look up and down. You can be sure that after a while all these “points” get mixed up, and especially if you’re playing a competitive FPS, you cannot react fast enough. Do not worry: Even console players cannot play FPS games. These are games designed to be played with keyboard and mouse – you have to move with the mouse on the Y axis and the keyboard on the X-axis. This is the only way to fully understand what is happening on the screen and reduce your response time. In short, if you want to play a mobile FPS game and really enjoy it, you need to include keyboard and mouse controls in the game. With BlueStacks 4, you can do this easily. 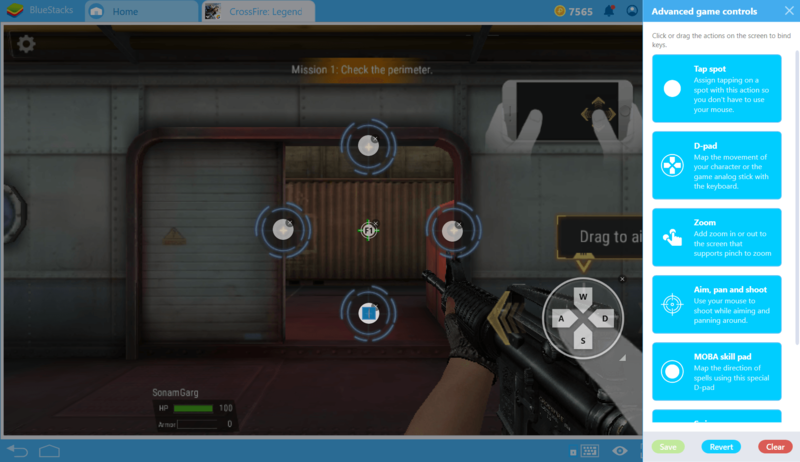 BlueStacks 4 offers the default WASD control scheme as the standard for all FPS games, and gives you the PC Gaming experience on mobile games. 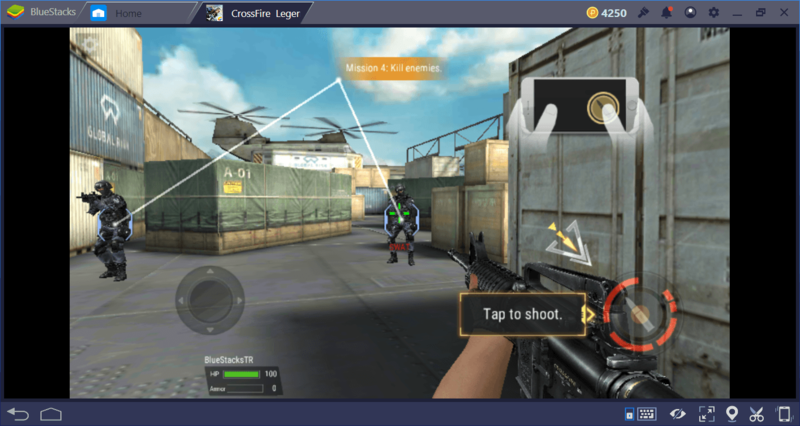 You can start playing all your mobile FPS games with familiar controls without the need to set them yourself: Use your keyboard to move your character, and use your mouse to look around and shoot. Not only does this feature change your mobile FPS experience from start to finish, it also allows you to fully use your skills. But keyboard and mouse controls is not the only advantage: You can customize the entire control scheme from scratch and create your own key controls if you want to. You can place a key anywhere on the screen: Do you think the key to fire should be in the upper right corner? It takes 5 seconds to place a key on that spot. Maybe you want to use your mouse instead of your keyboard to move around – you can do that too. You can do all of these and much more all thanks to our keymapping tool. That’s not all: When playing with BlueStacks 4, your visible field size depends on the size of your monitor. On small mobile screens, your environmental awareness will be quite low, so why not play on a giant monitor in high resolutions? With BlueStacks 4, you can finally use the resolution of your PC monitor and start to see the details you have not noticed before. In a competitive FPS game, recognizing such details offers you an edge over the competition. Move much faster and get a much better aim. BlueStacks 4 brings together mobile gaming and PC controls, enabling you to get the best of both worlds. 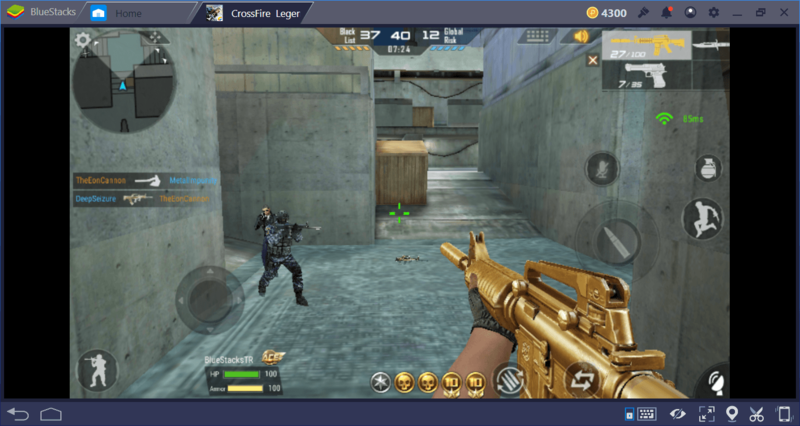 Try it now and see how easy it is to play a mobile FPS on your PC with BlueStacks. 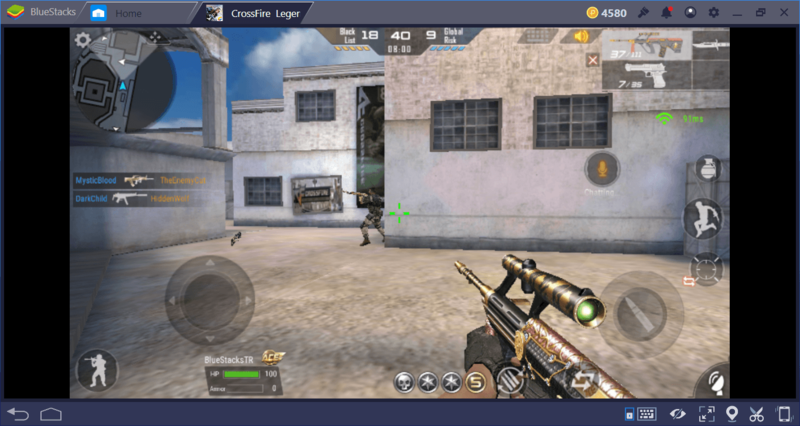 We recommend starting with Crossfire Legends, especially if you like competitive FPS games. Or, you can try your luck and bullets on Modern Combat 5: That one has pretty impressive graphics. If you like a casual experience, try NOVA Legacy: It is only 35 MB in size. Do not forget to share your experience with us!